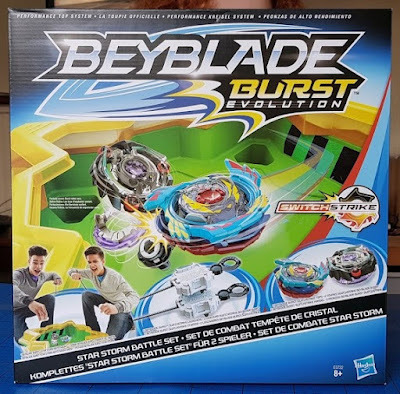 The Beyblade Burst Evolution Star Storm Battle Set is a heck of a mouthful to say, but it deserves the title as this star shaped Beystadium battle arena is definitely quite special. Also included are 2 Beyblade Burst SwitchStrike launchers and 2 Beyblade Burst SwitchStrike tops. Packaging is brilliant. A no-frills cardboard box and very little plastic. Earth and Christmas-morning friendly. 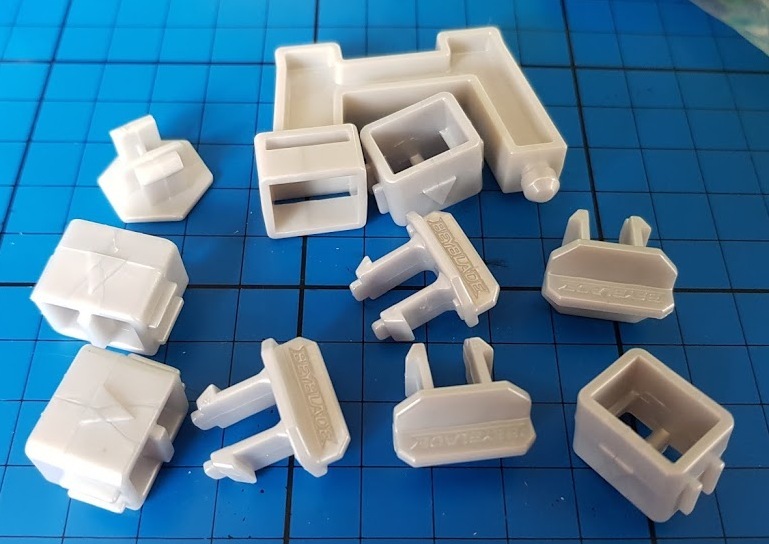 Not bedroom-friendly in the same way as the as the Epic Rivals Beystadium, because it doesn't fit back in the box once assembled. 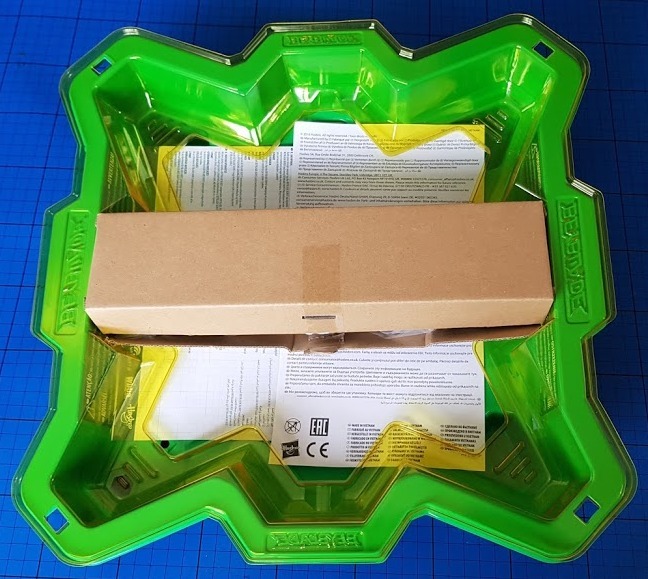 The biggest item is the Beyblade Burst Star Storm Beystadium, a 37cm battle arena with an enclosed bowl to keep your Beyblades battling and prevent them escaping the arena. This will require 5 minutes assembly using the clips and 'leg' supplied. 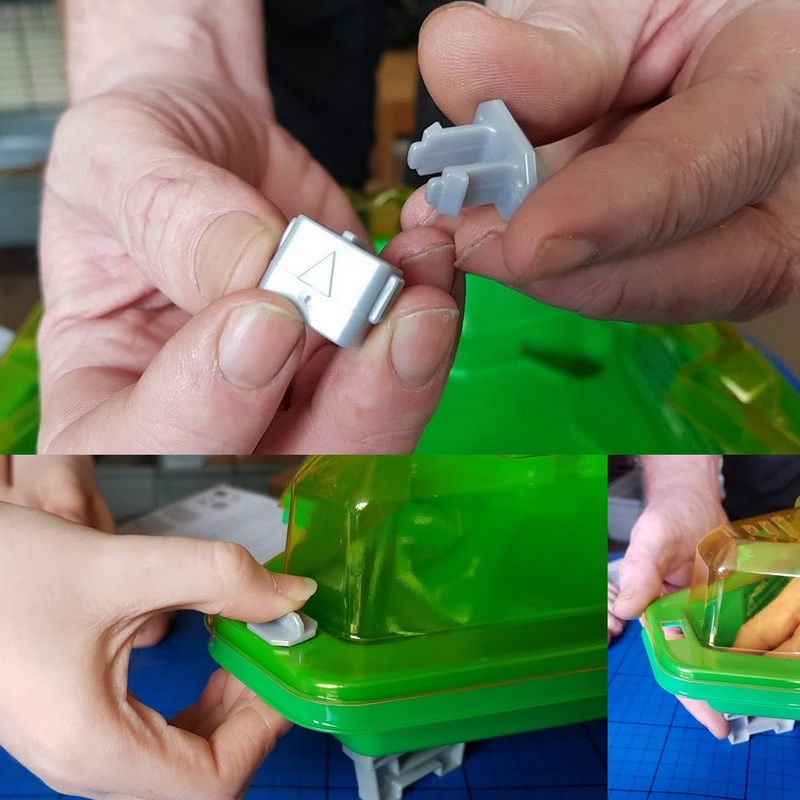 Really easy to do - but make sure you have the clips facing the right way or they won't 'clip'. It is possible to disassemble the Star Storm Beystadium, but it's not something you'd really want to do, this is pretty much a one-time construction. 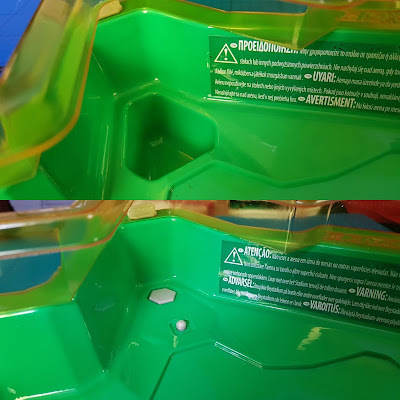 Three corners feature the pit of doom and the 4th has a raised nodule to catch out your Beyblades. 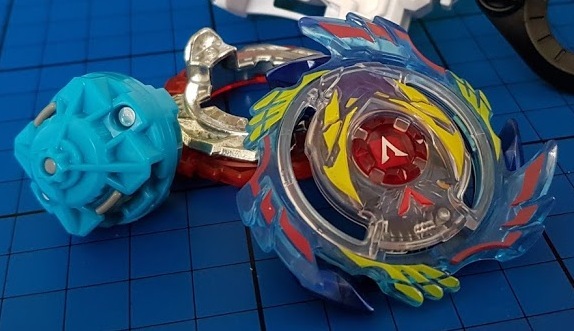 The shape is brilliant and it really does shoot off the Beyblades randomly. It makes for a more frantic and haphazard battle and rarely does any Beyblade spin solo. 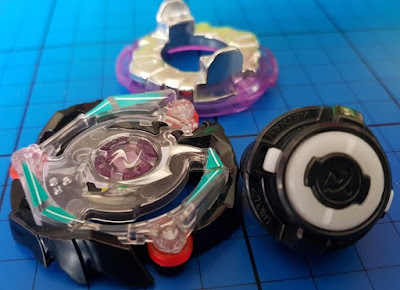 The 2 Beyblade Burst SwitchStrike right-spin tops each have 3 layers - Energy, Forge-Disc and Performance Tip plus 2 of their own special SwitchStrike features which will activate only rarely during battle. There's far more complicated engineering and technical knowledge involved than you'd ever realise as a bystander. Swapping layers makes your Beyblade behave very differently. 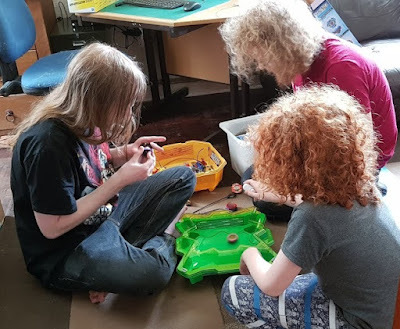 We have the Genesis Valtryek V3 Attack Beylade, with an attack value of 9 and a defence of 0. This is quite vicious and we find it a good regular winner. It has a spinning blade attack which wipes out the opponent swiftly if it hits nicely and an automatic in-battle tip change. 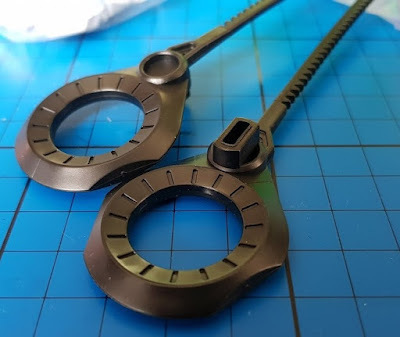 The flanges at the sides are pulled out as it spins and a very narrow tip is exposed. As it slows down, the flanges go back in and the wide tip drops down for extra stability. 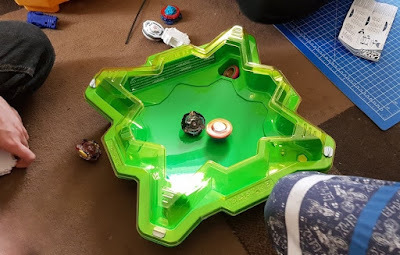 Our defensive Beyblade is the Satomb S3 with spinning wheels on the sides to deflect the enemy and two supporting wheels on the base. It's really heavy and has a defensive score of 9, but scores 1 for attack. It'll spin for ages, but rarely takes out an opponent in battle. Finally included are two of the right/left-spin launchers. Suitable for right or left handers and you'd be useless without them. 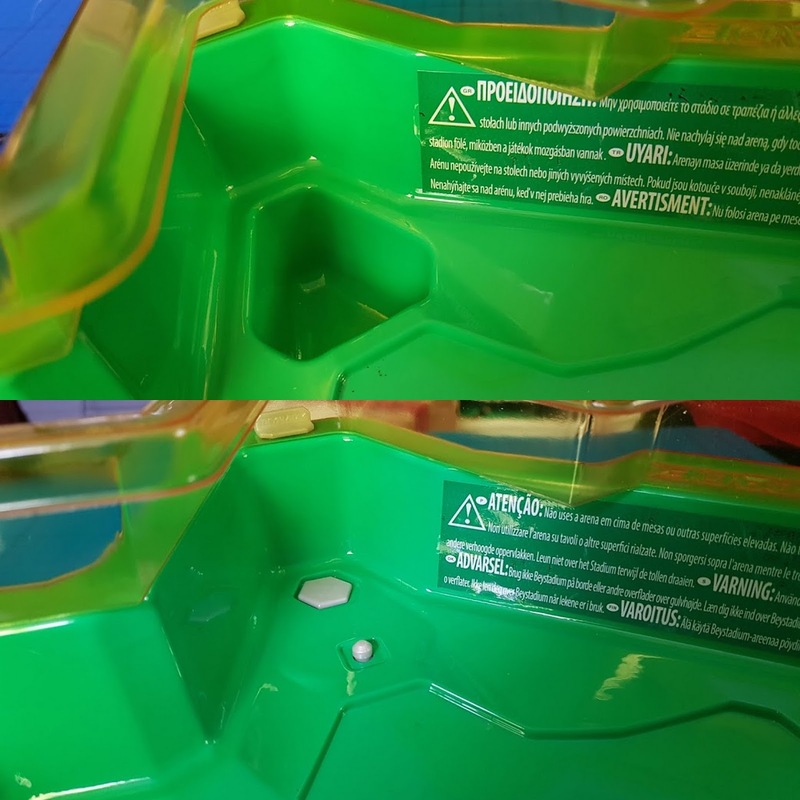 Both of the included Beyblades have a right hand spin, so insert into the R side of the launcher. 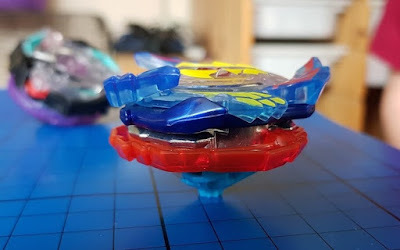 Find out more about just how technical and complex Beyblades can be, or just watch videos and check out the amazing designs on the official Hasbro Beyblade website, You can also scan the code on Beyblade Burst SwitchStrike tops’ Energy Layers to unleash the tops in the Beyblade Burst app. Available to buy now from all good toy stockists, the Beyblade Burst Evolution Star Storm Battle Set is suitable for Bladers aged 8+, rrp £39.99. A great set for an absolute beginner or a pro who understands the engineering and design and knows their defensive performance tip from their energy layer. We were sent our Beyblade Burst Evolution Star Storm Battle Set for review.